The main draw is up and running at the Hobart International – and we’ve already seen an upset as last year’s finalist bows out in three sets. 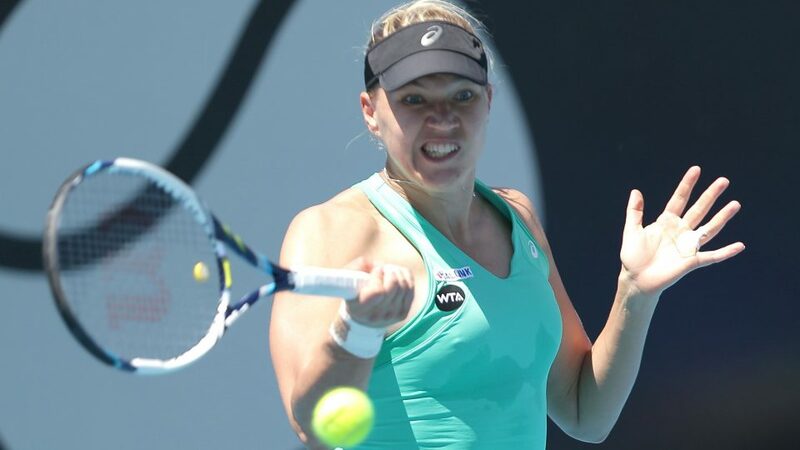 Kaia Kanepi secured the first win at this year’s Hobart International with a solid display against Monica Puig. The Estonian, who ran into beaten finalist Ana Ivanovic in the Brisbane quarter-finals last week, made up for making just half of her first serves with a resilient display in the face of some huge hitting from her opponent. Puig slipped a break down in the opening game and never truly recovered, even after Kanepi folded while serving for the first set at 5-2. The Puerto Rican could not find the lines often enough when it mattered, seeing seven break points come and go, and fell away in the second set. Camila Giorgi or Storm Sanders await for Kanepi in the second round. It was a bad day for the Monicas on Centre Court as Niculescu, last year’s doubles champion, followed Puig out of the draw in the first round. Stephens had won and lost against Niculescu in their previous two encounters but rarely looked in trouble against the Romanian, mixing up her game well with some flash winners from the baseline and some fine touch at the net. Niculescu struggled with her serve as the winds picked up, throwing in six double faults. No.5 seed Stephens took full advantage, stepping in to punish the world No.46’s second serve with ruthless efficiency – Niculescu won just four service points off after missing her first delivery. The only blot on the American’s copybook was a loose break given up early in the second set, but from 2-2 she ran away with the match to set up a second-round showdown with either Heather Watson or Magdalena Rybarikova. Few would have predicted that Japan’s Kurumi Nara would be back for the second round after her first-set drubbing at the hands of 2014 finalist Klara Koukalova. The Czech 32-year-old made the perfect start to her ninth appearance at the Hobart International, break to love twice as she wrapped up the first set in an instant with some sparkling winners off both wings. But with the wind swirling and the sun settling above the court, the elements drove Koukalova to distraction as Nara finally got a foothold in the match. Her first game was followed by her first break, and then a second as Koukalova began spraying errors. Having slumped in the second set, the world No.39 found her range once more early in the second set but Nara was not to be denied, cutting her error count down in the decider to bounce the Czech out of the draw. Up next for Nara will be Saisai Zheng or qualifier Johanna Larsson.